If your blood sugar/glucose levels are high then you will be diagnosed as having diabetes. Depending on your sugar values your doctor will prescribe exercise, tablets or injections which you need to take regularly. If your diabetes is not under control, there may be damage to heart, blood vessels, eyes, and kidneys. (1) You are more prone for problems of the feet which may lead to serious injuries and infections of the feet. 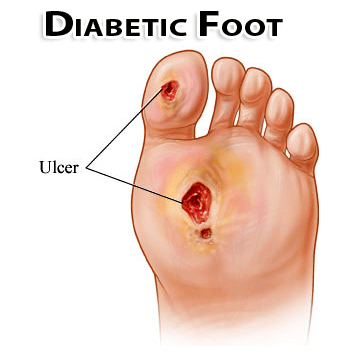 People with diabetes have an increased risk of ulcers and damage to the feet. A long standing untreated ulcer may give rise to gangrene (dry gangrene) where there is tissue death due to absence of blood circulation. It can be life-threatening if bacterial infection develops (wet gangrene). Your doctor will advice blood investigations for blood sugar levels, blood counts for infections, pus culture in case of abscess, X-rays to know the bone involvement etc. Debridement: Process of removing all the dead and dying tissue from the area. Drainage: For wounds that have pus in them. Bandaging and infection control: This is the process of bandaging the wound properly and treating the patient with appropriate antibiotics. In cases of gangrene, doctor may suggest amputating (cutting out) the limb. The extent to which the limb will be amputated depends on how far the gangrene has spread. (5) Serious foot problems where conservative treatment methods fail, may require surgery. Surgery will be done under local/general/epidural/spinal anaesthesia where you will not feel the pain during surgery. Do not self-treat corns, calluses, or ingrown toenails. Keep your feet warm by wearing socks and changing them daily. Do not ignore minor problems, as they can become severe very quickly in diabetics. Arrange to have someone drive you home from the hospital. Control your diabetes by monitoring your blood sugar levels and taking prescribed medications. Keep Bandages Clean and Dry: The bandages are in place for a purpose and will help to hold the surgical correction in place so it can heal. If you get the bandages wet, your infection chances increase. You may experience numbness, tingling, and burning sensations in your foot. It is normal, if persist, consult your doctor. Unless you are in a cast, it is good to move your foot at your ankle for a few minutes each hour. Take the prescribed medications regularly. 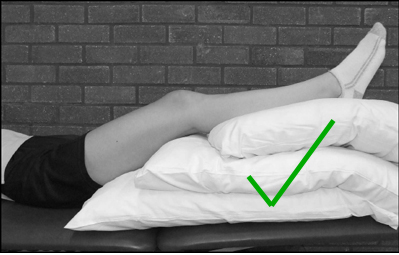 If you are wearing a cast, do not put anything in the cast and keep the cast clean and dry. If you are itching beneath the cast, blow cool air down the cast with a hair dryer and consult your doctor. You see breaks in the skin of your foot, or discharge or bleeding. Persistent numbness, tingling and burning sensations in the foot. Follow up depends on the type of surgery you have undergone. You will have to get your blood sugar levels checked regularly, at least once in 15 days till the values get settled and the dose of medications prescribed to you get stabilised. If sutures are applied, then you get to get it removed after 7-8 days. If cast is present, then confirm with your doctor as to when it has to be removed because different conditions require cast for different durations. Elevate your foot above your heart for 48 hours after the procedure, in order to relieve pain and the sensations. Avoid prolonged sitting or standing, and refrain from putting weight on the operative site unless given permission by your doctor. Walking: Depending on what procedure you have, your doctor will tell you to stay off your foot for at least 48-72 hours following surgery. You should limit your walking to just the bathroom during this time. 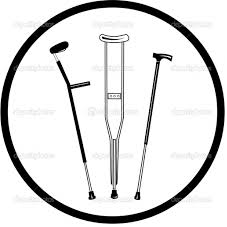 Some procedures require you to be non-weight bearing on crutches. 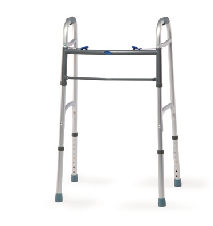 This is extremely important and means no weight on the foot at all, sometimes not even resting the foot on the floor while not walking. 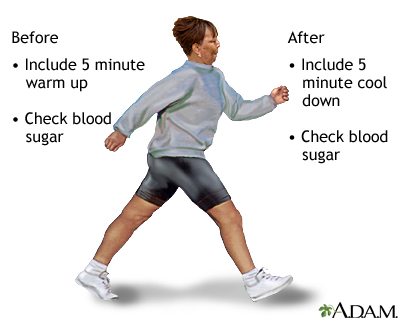 If possible, start slowly with walking for 5 - 10 minutes after 4-5 days. Later try to set a goal of fast walking. You should do this for 30 - 45 minutes at least 5 days a week. Note: Drink plenty of water. Do this before, during, and after exercising. Try to exercise at the same time of day, for the same amount of time, and at the same level. This will make your blood sugars easier to control. When you exercise wear socks that keep moisture away from your feet. To improve blood circulation you can do certain exercises like: aerobics, walking, swimming, jogging and biking and team sports like soccer and basket ball. Moderation is advised with regard to consuming alcohol. Never consume alcohol on an empty stomach especially if you are on diabetic medications as it may cause hypoglycaemia (decrease blood sugar) but take some starchy food (such as bread or potato crisps) at the same time as consumption of alcohol. Wash your feet in warm water every day and dry your feet well, especially between your toes. Examine your feet every day to check for cuts, sores, blisters, redness, calluses, or other problems. You can use a mirror if you cannot reach your feet. If your skin is dry, rub lotion on your feet after you wash and dry them. Take care not to put lotion between your toes. Cut your toenails once a week or when needed and file the edges with an emery board. Always wear slippers or shoes to protect your feet from injuries. Always wear socks or stockings to avoid blisters. Instead of eating 3 large meals it is recommended for diabetic patients to have 5 small meals. Try to choose low or non-fat varieties over full-fat dairy products, as they are lower in saturated fat and cholesterol. Eat 20 - 25 grams of raw onion daily. Onions contain properties that actually fight against diabetes. It also aids digestion. Try to switch to herbal tea rather than caffeinated tea. Eat at least 3 servings of fresh vegetables daily. Vegetables that can be consumed in larger quantities by diabetics are cabbage, mint, spinach, bitter gourd, lady's finger, cauliflower, cucumber, carrots, radish, onion stalk and pumpkin. Current recommendations for diabetics are to take plenty of fruits and vegetables, as naturally occurring fruit sugar (fructose) is more slowly absorbed than sucrose, and raises the blood glucose to a lesser extent. Very sweet fruits (mango, banana, chikoo etc) can be taken in small portions, along with a meal to reduce the spike in blood glucose. It is very important to never skip any meal. It is easier to keep blood sugars stable if you eat your meals at the same time everyday. Avoid eating or drinking anything containing a lot of sugar likes cakes, sweets, chocolate etc. Stop eating fried or fatty foods. Try baking or broiling the food instead of frying. Avoid eating large quantities of lots of rice, potatoes, bananas as these can raise your blood sugar level. You can take dairy products like milk and yoghurt but avoid fatty products like butter, cheese, ghee etc. It is better to use low fat milk or skimmed milk. Do not overeat at any time of the day.